NABLUS (Ma’an) — A four-month-old infant was injured, on late Sunday, afterIsraeli settlers attacked her parents’ vehicle as they passed by near the illegal Israeli settlement of Havat Gilad, west of the northern occupied West Bank city of Nablus. A Ma’an reporter confirmed that a four-month-old infant was admitted to a hospital in Nablus City, where she was treated for a head injury.The injury was reported as mild. Reports said that Ali Shawahneh, from the Kafr Thulth village, east of the northern West Bank district of Qalqiliya, was heading home along with his family when Israeli settlers attacked their vehicle as they passed near the illegal Havat Gilad settlement. 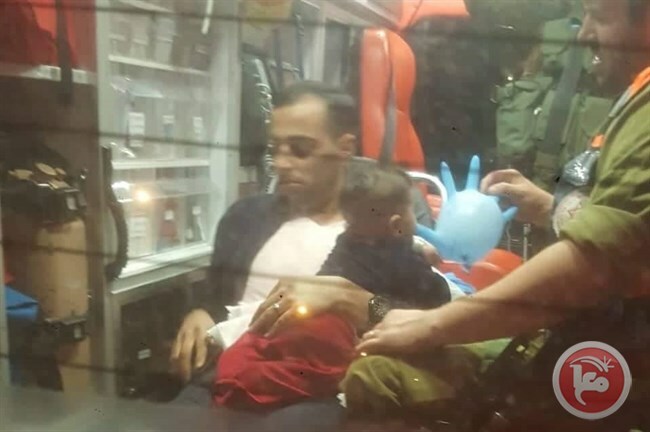 Israeli settlers threw rocks at the vehicle, forcing Shawahneh to suddenly stop, resulting in his infant daughter’s head hitting the glass and leading to her injury. Locals said that an Israeli military vehicle arrived to the scene to take statements from the family regarding the incident; No ambulance was called to the scene. In October, Aisha Muhammad Talal al-Rabi, 47, a mother of eight children, from the Bidya village near Salfit in the northern occupied West Bank, was killed and her husband was injured, after Israeli settlers hurled rocks at their vehicle near the Zaatara checkpoint in Nablus, in the northern West Bank. Palestinian towns and villages in the Nablus area are surrounded by Israeli settlements and outposts, many of which are protected by the Israeli military and have gained notoriety for being comprised of the most extremist settlers.The Palestinian government has no jurisdiction over Israelis in the West Bank, and violent acts carried out by Israeli settlers often occur in the presence of Israeli military forces who rarely act to protect Palestinian residents.The majority of settler attacks committed against Palestinians are met with impunity, with Israelis rarely facing consequences for such attacks.Only 1.9 percent of complaints submitted by Palestinians against Israeli settler attacks result in a conviction, the Israeli human rights group Yesh Din reported.